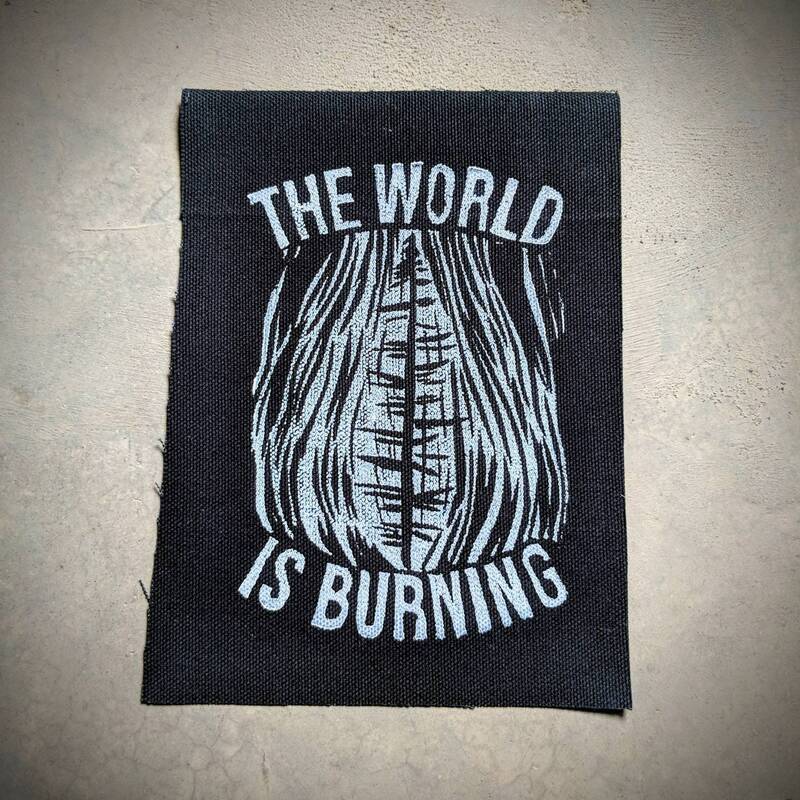 The World is Burning. So, why isn't anyone doing anything about it? 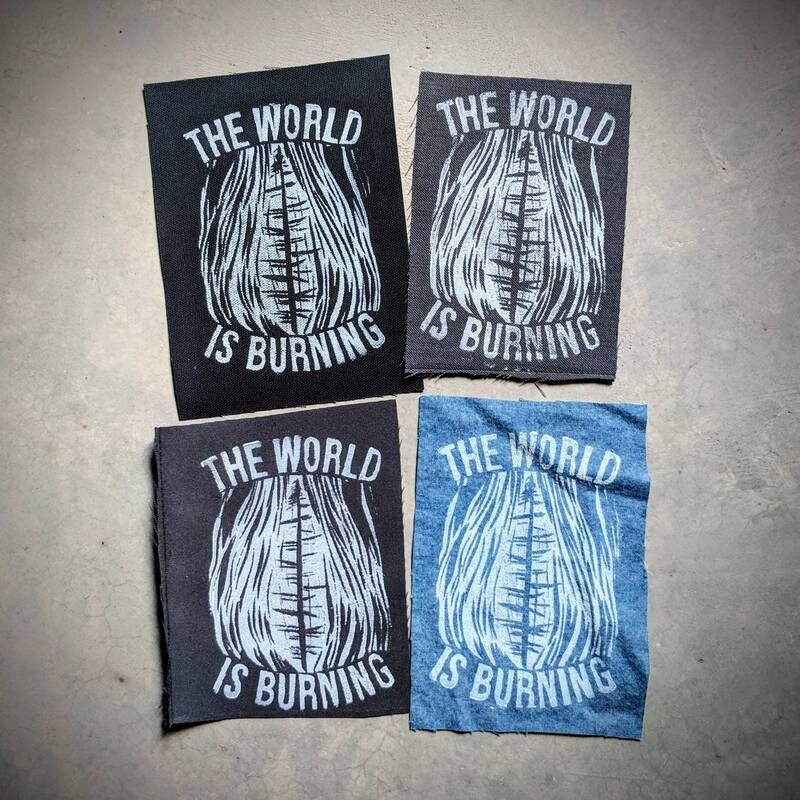 We're sending $1 US to The Union of Concerned Scientists for each of these patches we sell. Please check out uscusa.org. They fund research as well as combat corporate and political climate deniers. 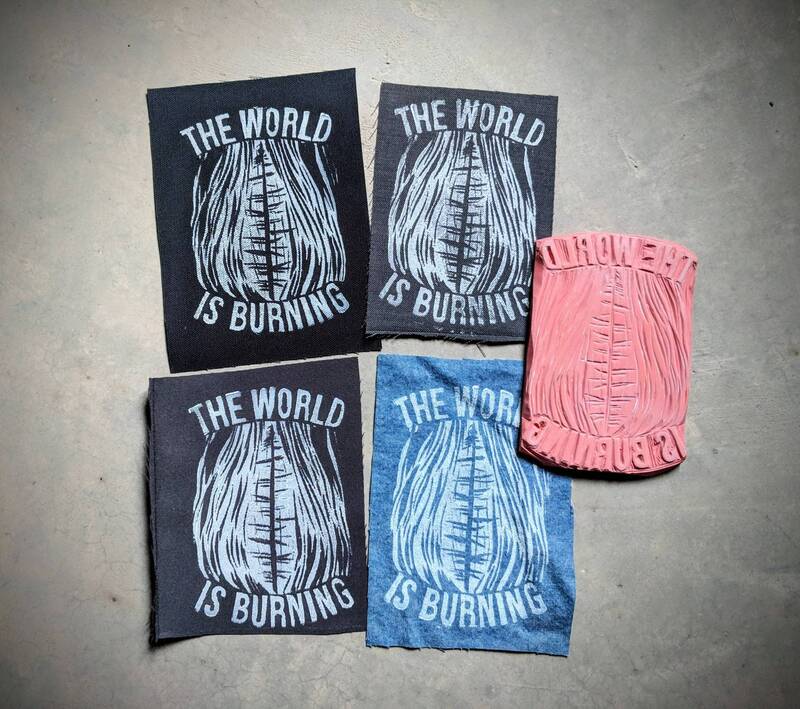 They are all printed from a hand carved block made of recycled material. Some of them are printed on recycled material. 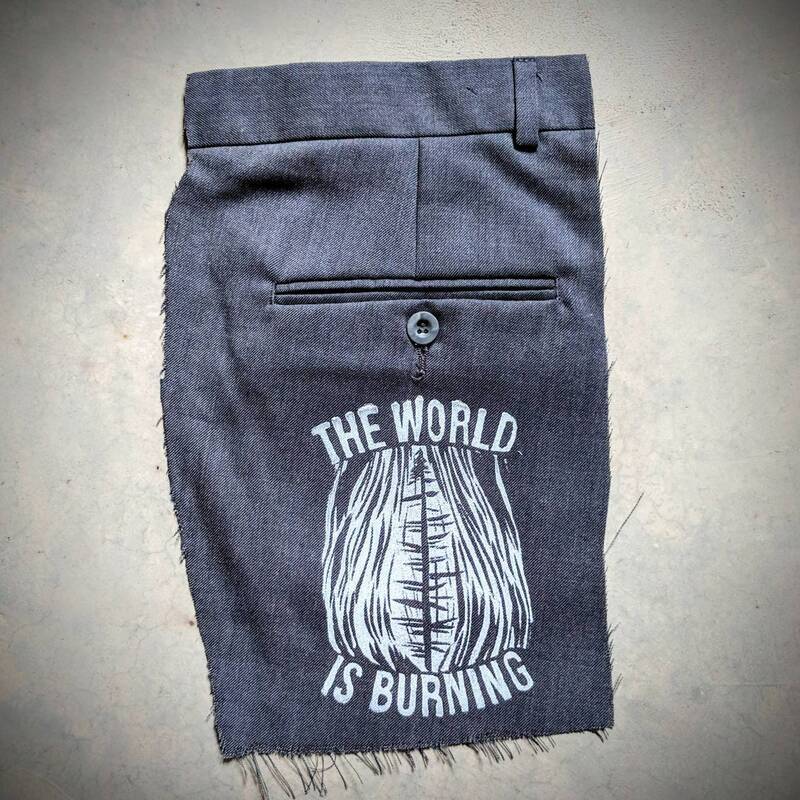 And if you want one with a pocket please message us because you're our kind of weirdo and we'll let you know what is available. We raised $36.50 in the first year. What have you done?